It's our favorite time of year....It's fall!! I love the rich colors of pumpkins and mums and the wonderful crisp in the air...It's also one of the BEST months at Chartreuse and Co.! The barn is full of awesome stuff! Here's a sneak peek at what Beans and Buttons will have! Look at the raffia pumpkins with burlap leaves...love them!! An incredible oak cubbie box complete with cork trim...how cool! Handmade burlap pumpkins...these are one of my favorite projects ever! Architectural salvage candlesticks....what a statement! Vintage remington typewriter...it doesn't get much cooler! Fun trick or treat boxes....imagine how cool they'd look full of candy corn! Small butcher-block table/desk...it's a great petite size! 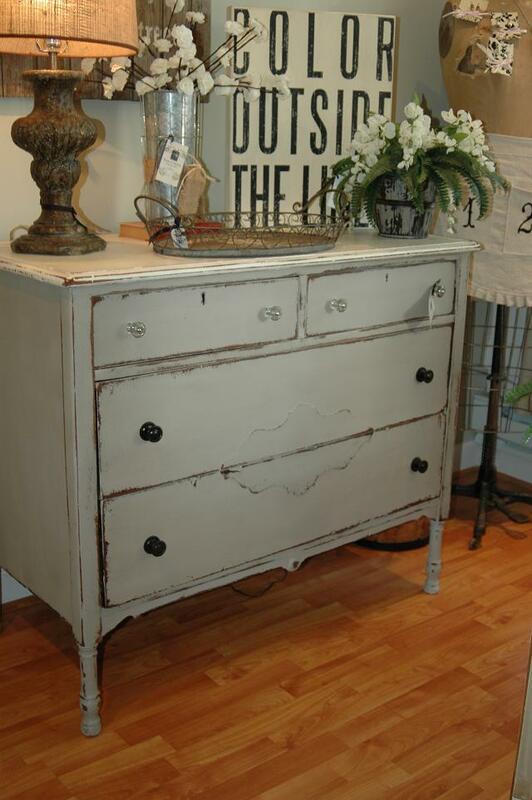 A gorgeous creamy taupe buffet with refinished dark walnut top. Look at this amazing set-up with the metallic pumpkins and beautiful vintage mirror! Vintage ledgers from Hanover Shoe Co.
A great small black table...perfect side table! 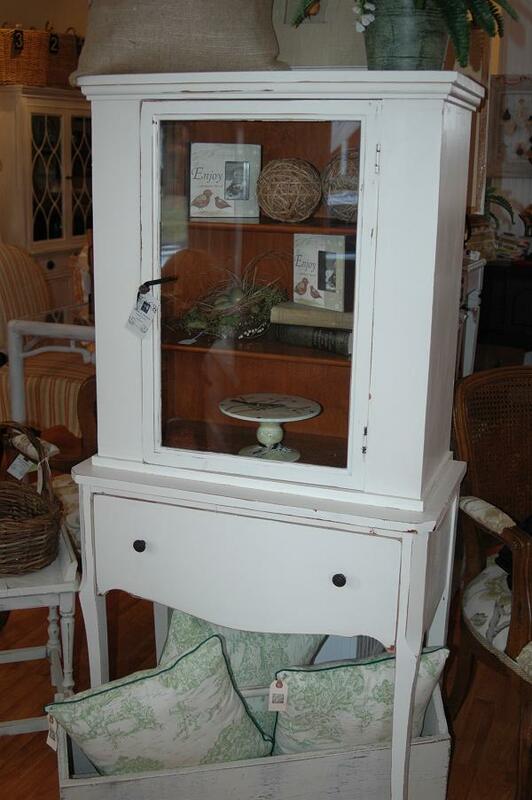 Beautiful grey dresser with mirror...look at the refinished top! Vintage wash basin...how perfect for the fall! Picture it piled with pumpkins and mums! We all remember where we were and who we were with the moment we heard about the attacks. We need to take time out of this day, without football and without domestic duties and remember all those that lost their lives. Also, send some thoughts over to Anna at An Inch of Gray who lost her son in a flash flood over the weekend. 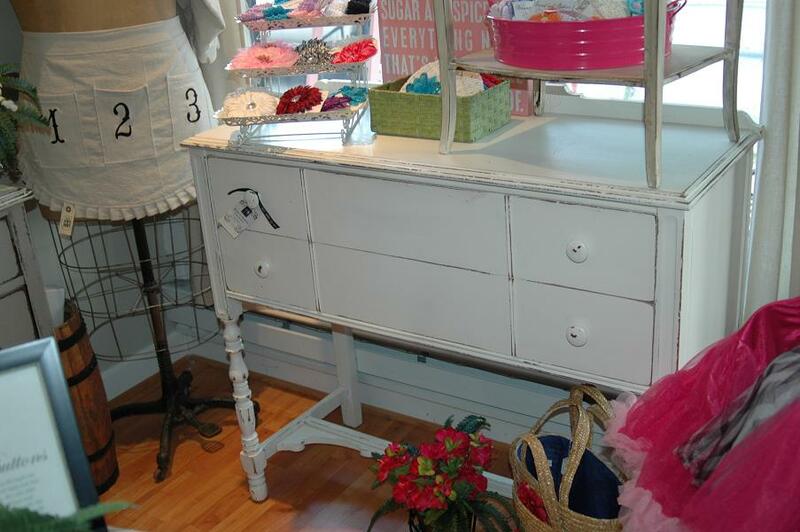 Come see us at Wild Rose and Co. in Walkersville, MD! This great petite dresser with a creamy top and a beautiful gray base...yummy! 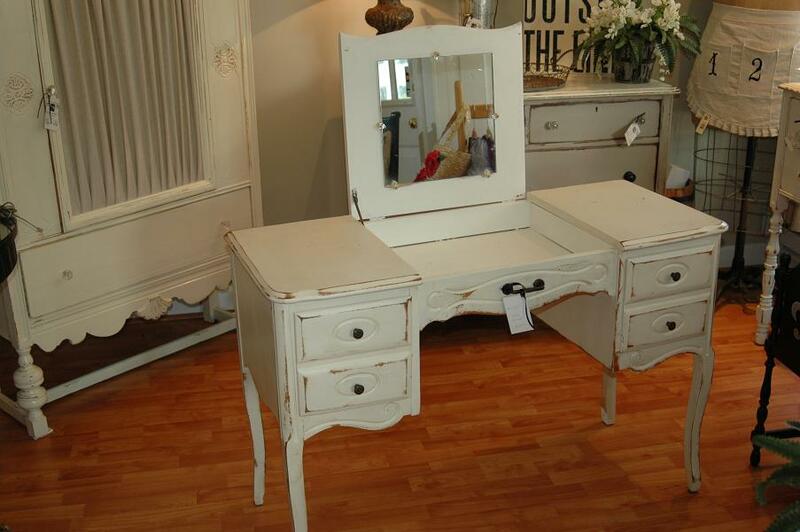 A creamy white vanity....perfect for your little girl's room! This petite curio, perfect for an entryway! 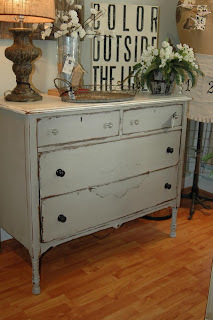 A smaller-sized sideboard...would fit just about anywhere!! Come see us and the other vendors Tuesday-Saturday at 21 W. Pennsylvania Ave. in Walkersville! It's that time!....Tag Sale Time at Chartreuse and Co. Here's a preview of what Beans and Buttons will have this month! Great hair accessories and hats...great for Back to School! Visit http://www.chartreuseandco.com/ for more info!